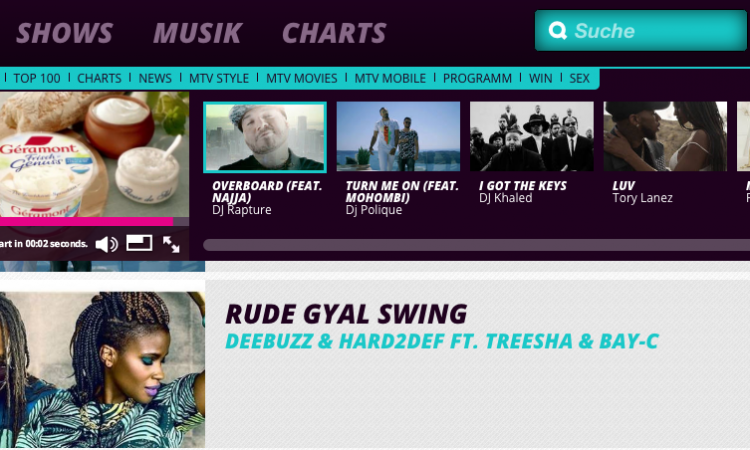 The two artists out of the Kingstone camp have reached position #3 on Germany’s MTV Urban charts this week with „Rude Gyal Swing“. The song that is creating waves on the dance floor produced by DJ Hard2Def and Deebuzz Soundsystem is a pure Dancehall killer hitting the ladies waistlines on spot – a must play track for all DJs who feature Reggae and Dancehall. Big up Treesha and Bay-C for this masterpiece.